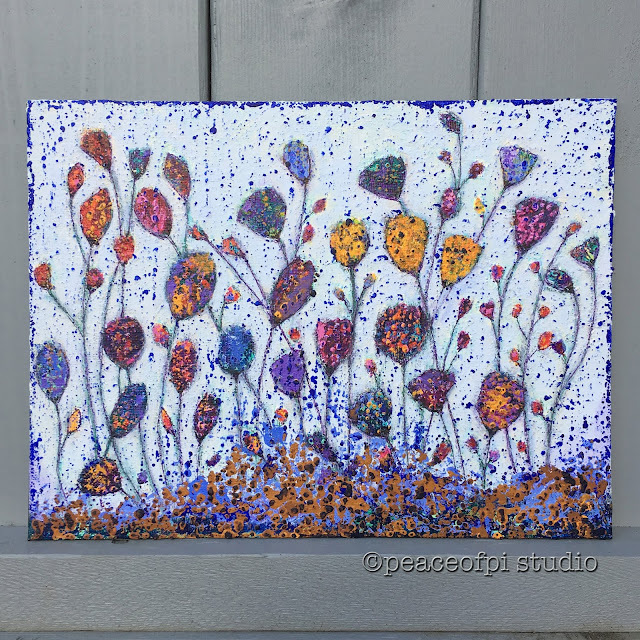 Smaller and in deep blues, Spring Garden, 8 X 10 inches, has willowy flowers bending in the breeze. Going large again at 20 X 20 inches is the yellow toned, Can you See the Flowers? 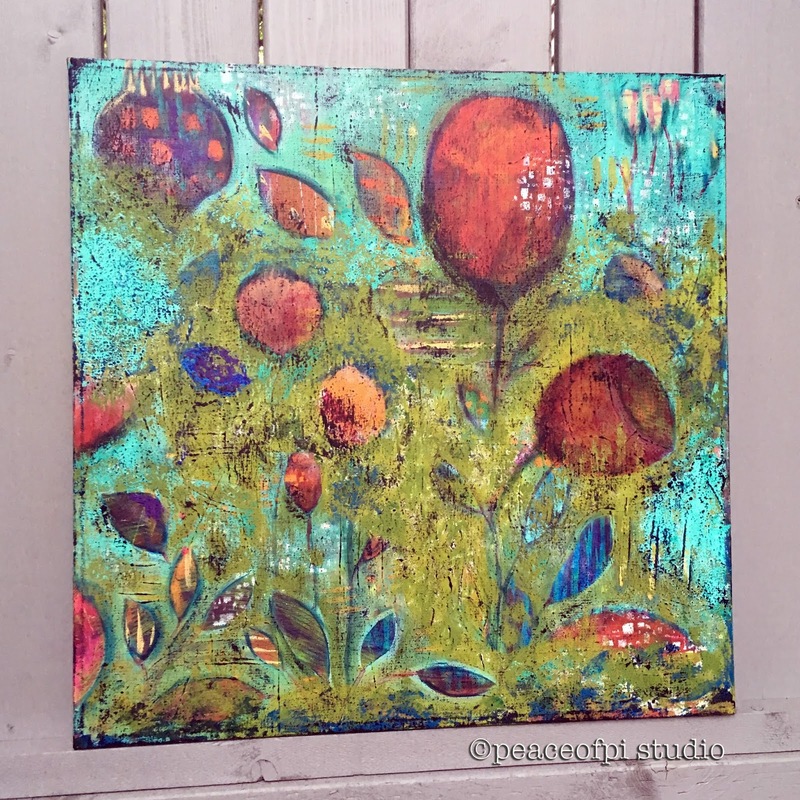 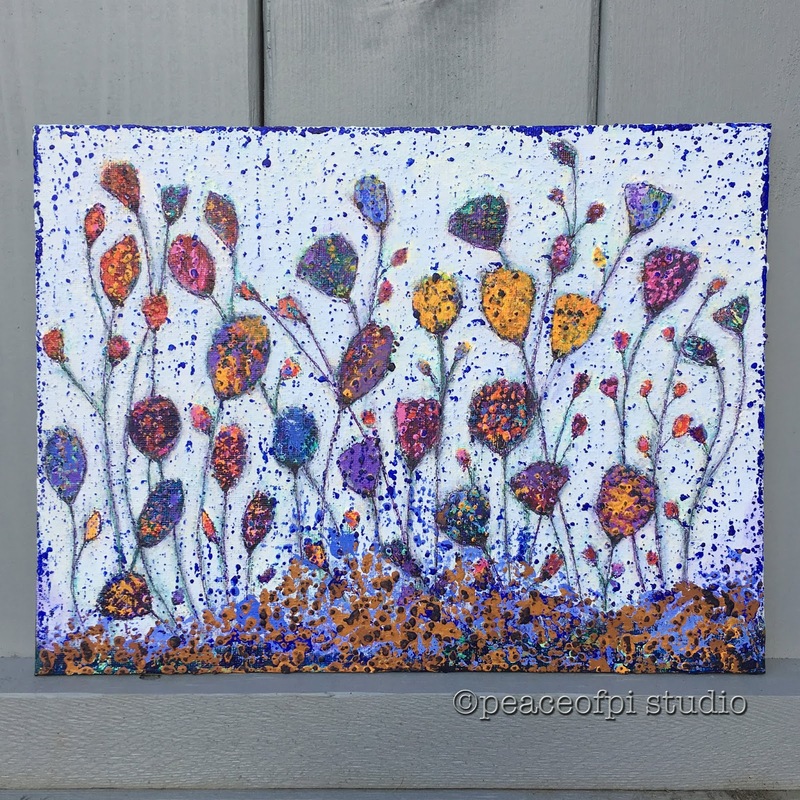 A small painting in acrylic on wood, Wintertime Fantasy, 8 X 8 inches, imagines flowers with ALL the colors. 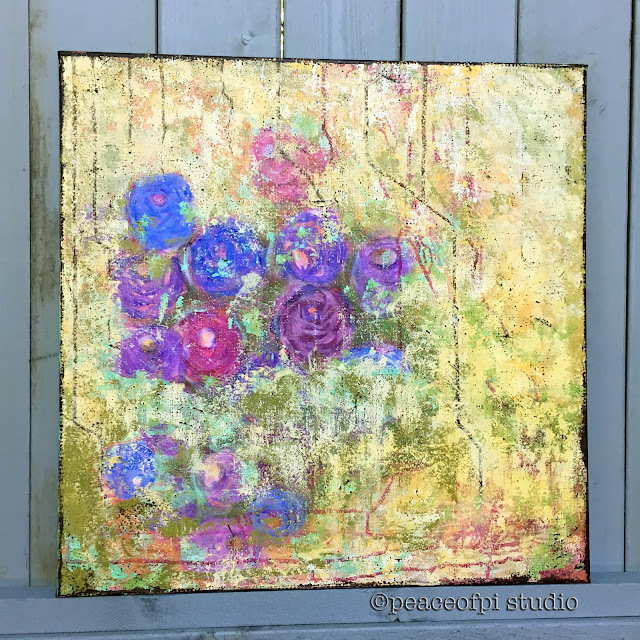 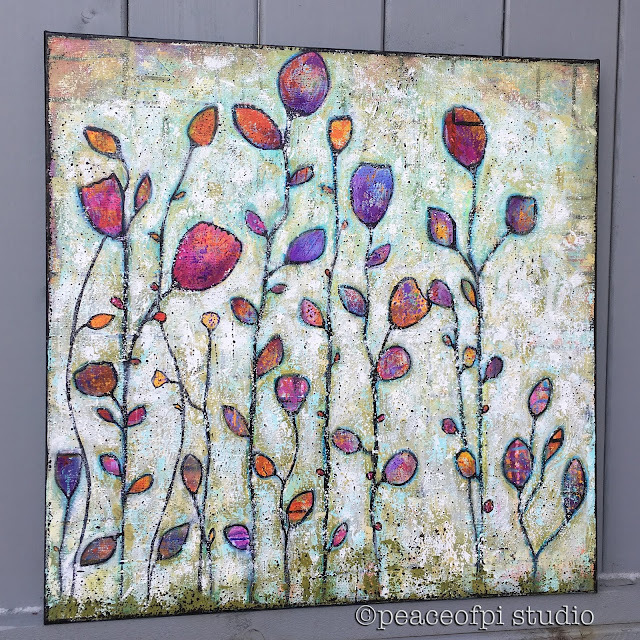 Big and bold in rich greens is the semiabstract Le Jardin, 24 X 24 inches, a celebration of flowers in the wild. 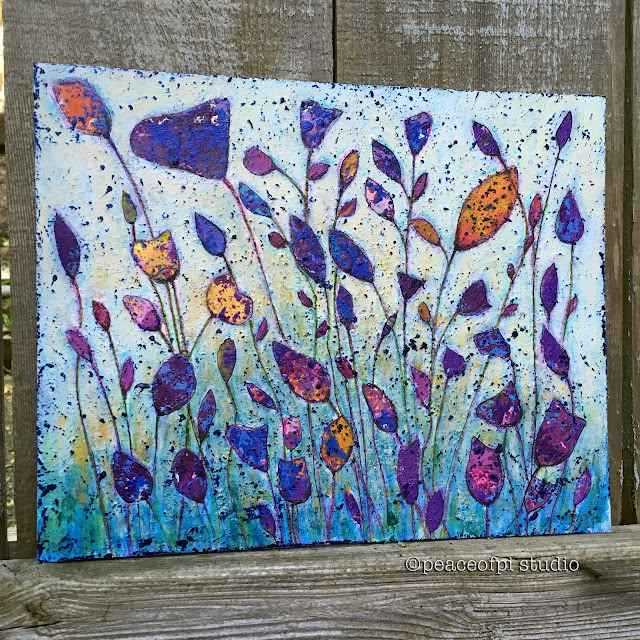 And finally, a purple haze and a touch of rain surrounds these wildflowers in this 9 X 12 inch painting in acrylic on canvas board.